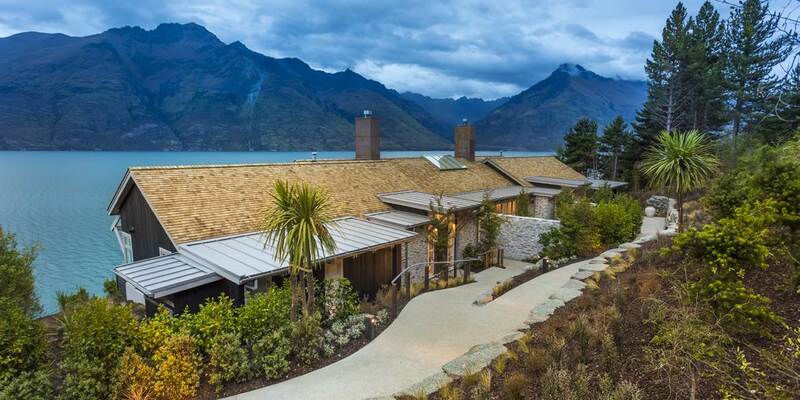 Matakauri Lodge is stunningly located on the edge of Lake Wakatipu just a short 7 minutes from the bustling mountain town of Queenstown. 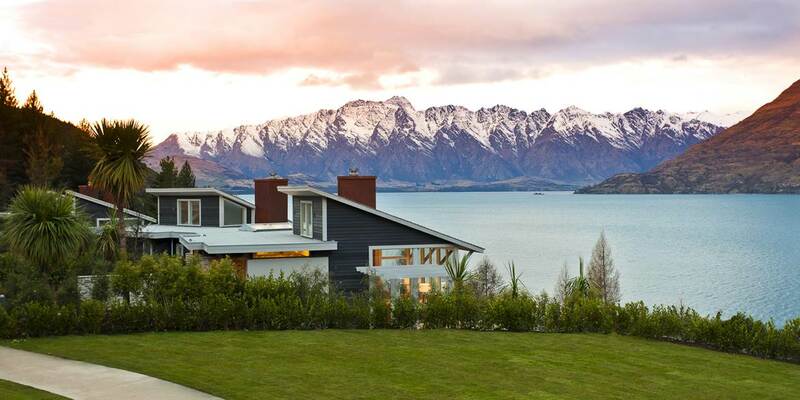 It reopened in August 2010 after undergoing extensive refurbishment and new interior design by acclaimed New Zealand Interior Designer, Virginia Fisher. 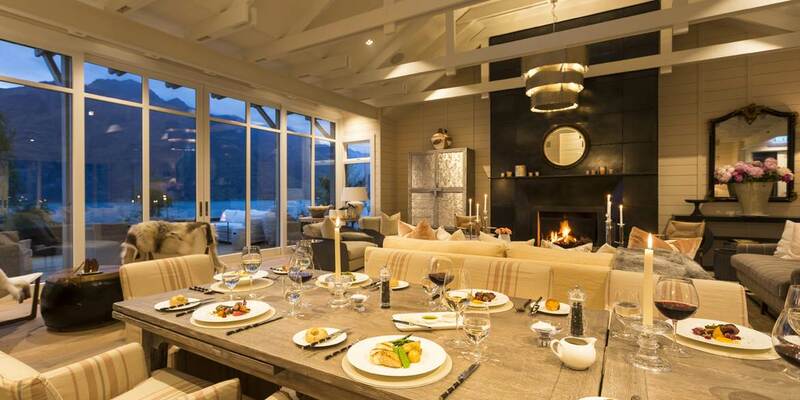 This cutting edge designed contemporary lodge is perfectly located for those that want to be close to Queenstown to enjoy all that is there but just outside to enjoy some remoteness. There is much to experience in the surrounding areas; fly-fishing and heli-skiing, the country’s best hiking on the Routeburn or Milford Tracks, jet boating, kayaking, 4WD tours, mountain biking, horse riding, art trails ,wine trails, helicopter and light aircraft flights over the World Heritage Fjordland National Park and Milford Sound, sky diving and bungee jumping. 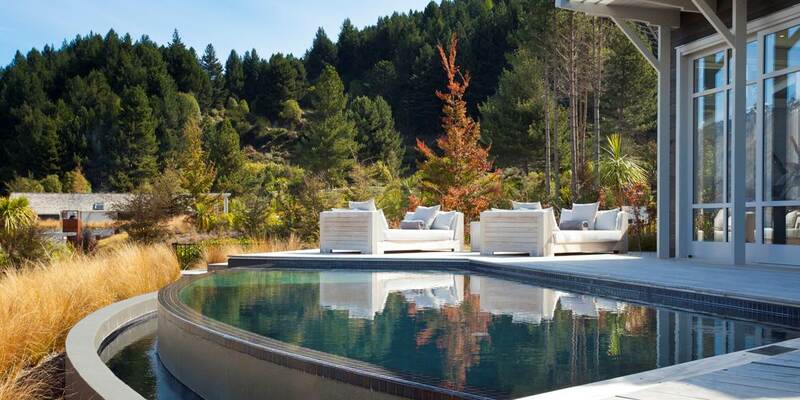 The lodge itself has a luxurious spa facility, fitness centre, outdoor infinity swimming pool, sauna, Jacuzzi and walking trails. 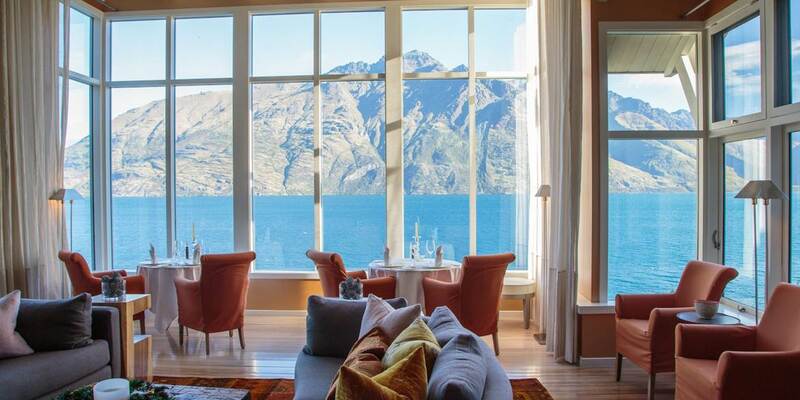 Head Chef Jonathan Roger’s modern New Zealand cuisine is focused on showcasing local seasonal produce with clean, fresh flavors in an à la carte menu that changes daily. 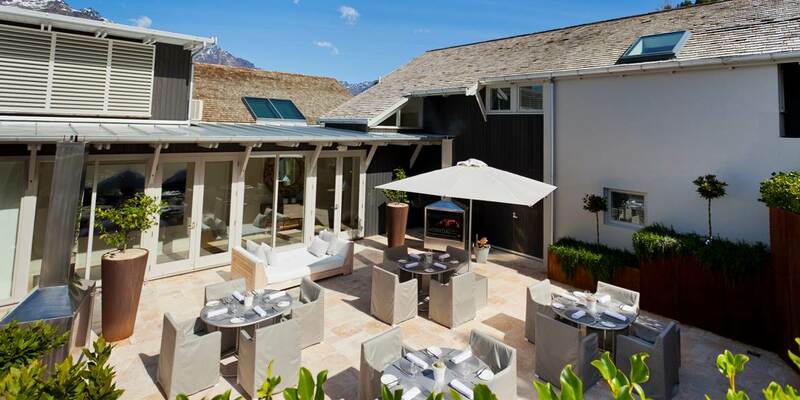 Choose from a variety of dining spaces, including the Library, Dining Room, Remarkables Patio, Courtyard and Lounge and also private dining can be arranged upon request. 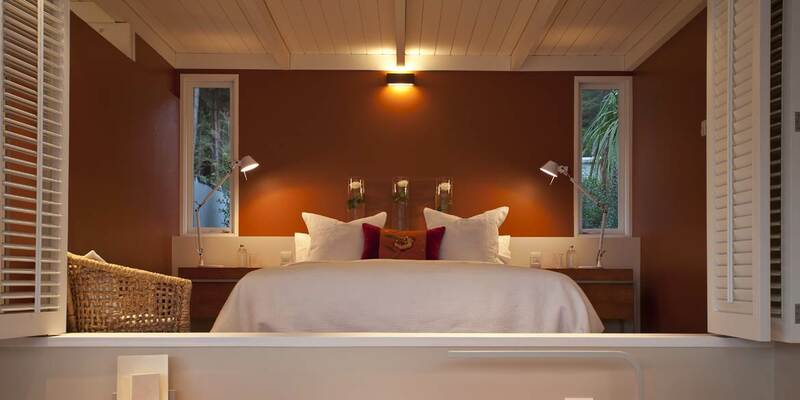 Matakauri Lodge only has twelve luxurious suites. 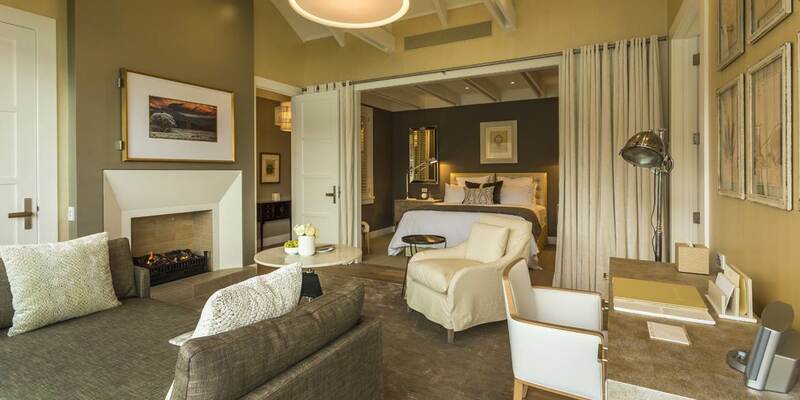 Every suite offers its own private porch, bedroom with sitting area and open fireplace, walk-in wardrobe and bathroom with twin vanities and oversized bath tub. 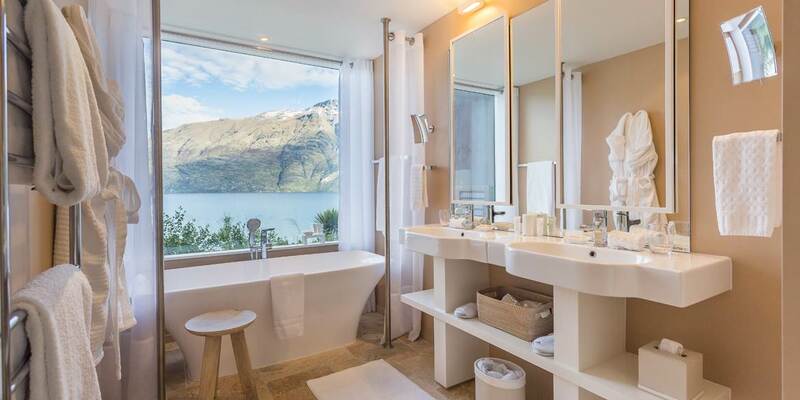 Four suites are classically located with the main lodge, with the remaining suites nestled in a native forest overlooking Lake Wakatipu and the mountain panorama. 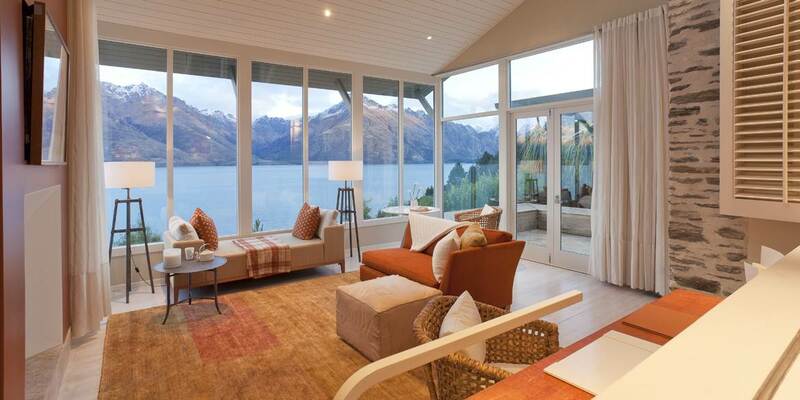 The main area comprises the spacious lounge, dining and living areas all with amazing views of Lake Wakatipu and the snow-capped mountain range. The fabulous Owner's Cottage has been especially designed for families and groups of friends travelling together; it has a spacious main lounge, study, kitchen and dining room, four huge bedrooms with fireplaces, large bathrooms and views from the bathtubs; spectacularly located on the main balcony is a private Jacuzzi, an outdoor courtyard area with barbecue and cooking facilities for a chef if private in-house dining is preferred.